For the past few months, the Chinese OEM, Infinix has been working on great devices and finally, they brace up to unveil an edge device like no other but Samsung. But if you asked me, why edge? As known, the galaxy device is known for that. 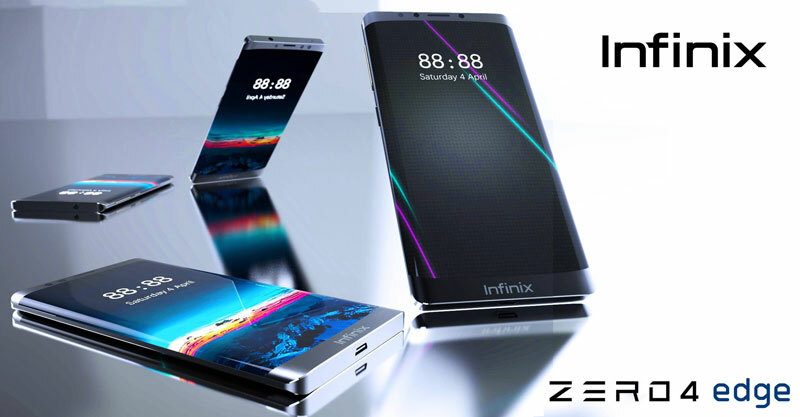 The Infinix Zero 4 Edge image was surfaced online, revealing most specs and other component featured on the device. To start with, we already know that Infinix plans to power their next device with Nougat operating system, as the company is always competent on integrating the latest operating system on their new leaks. Insider, Infinix mobility also tells that the device is crafted as a premium device featuring the 5.7 inch Super AMOLED display with a 2k resolution on display. Other source revealed that the device would be powered by a mediaTek helio x20 deca-core processor alongside a 4GB/6GB RAM component, 64GB ROM supported with a mircoSD slot up to 128GB in-take. No word on battery capacity, but it’s confirmed that the device would support the latest fast charging technology as it is in latest Galaxy device. Read also: Android O Developer Preview – What You Need to Know? I ask again, Infinix Zero 4, seriously? I’ll rather go for the usual Galaxy edge devices except Infinix is planning on making theirs very affordable as known, when it comes to quality, infinix is no match for the beast Samsung Galaxy.